Promoting from within can be an excellent way to retain talent and to provide career paths for ambitious young people – but how do you identify the people who will make the best leaders? When you are able to hire the right potential and purposefully build your organisation to nurture and develop talent, leaders may come to the fore as natural ‘successors’ to those who leave or step down. But it doesn’t always work like that. Sometimes, you are left with a ‘hole’ to fill and need to decide whether to hire a leader from outside or promote from within. The leaders you put in these positions will largely dictate how successful you are. The right leaders can help you navigate challenging times with everybody pulling in the same direction. 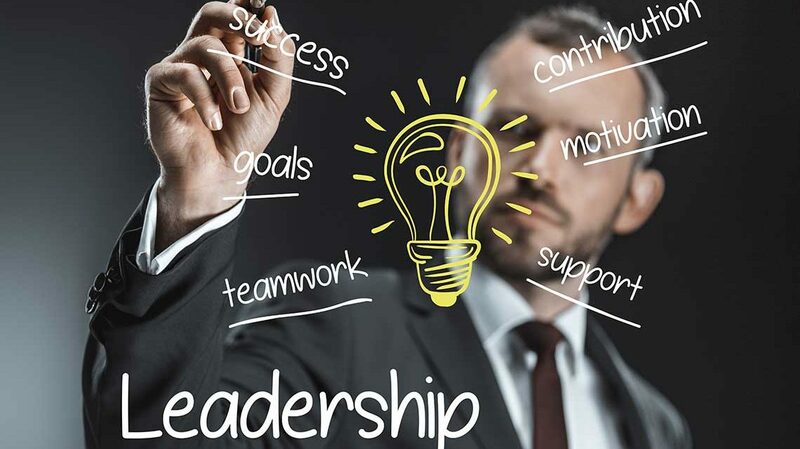 Remember that stellar job performance, academic qualifications, and experience bring excellent credibility – but don’t necessarily translate into the type of leadership qualities that can help steer your organisation in the required direction. Absolutely basic, this one. Is the candidate highly motivated or do they need kick-starting and micro-management to get them going? This is a personal quality that is non-negotiable for leaders. In order to motivate others, they need to have a lot of ‘get up and go’ themselves. I won’t dwell on this too long, as it’s quite self-explanatory. Some people are motivated in their own little world – but don’t possess the necessary passion and commitment to develop themselves. They may be happy treading water. An important quality of leaders is their passion for growth, learning, and development – this tends to rub off on others and that’s why you’ll find many successful leaders still training and educating themselves to improve. While some organisations focus on hiring leaders because of past performance, it’s really the vision and prospects for the future that should count more when considering leaders. Unhealthy competition can bring an organisation to its knees. In fighting and back-stabbing create a toxic culture that drives employees away. On the other hand, healthy competition or ‘co-opetition’ as I like to call it, can inspire people to work together to achieve more. Strong leaders should not step away from fighting for your team’s corner when needed, but rather than an ‘Us v Them’ mentality, it should be based upon everybody winning. That’s the only way the organisation benefits in the long term. So find potential leaders who are prepared to work together to achieve mutually-beneficial goals. Does the individual contribute to the development of ideas, new ways of doing things, updating and enhancing processes? Leaders are often good ‘ideas people’, with plenty of insight and engagement with others for the purpose of growing the organisation. They have profound knowledge of specialist topics and can be called upon to offer their opinions when the big decisions need to be made. This is a valuable component of almost any leadership role, so it should be assessed when considering potential candidates. Leaders are also often good problem solvers. They don’t shrink when roadblocks are placed in their way. Some people are content to stand by and watch when things go wrong – a good leader is determined and tenacious enough to overcome every obstacle to find a solution. They become a ‘catalyst’ that can bring about the desired result. If there are people in the organisation who step in and solve problems creatively, they may be future candidates for leadership. Leadership is not just about the target-hitting and success. It can also be about mistakes and failure. So how people react to these negative outcomes can tell you a great deal. Leaders hold themselves accountable for failures as well as successes; they don’t shirk responsibility and will not point fingers or try to blame someone else. These people know that failure and mistakes are also a part of success – and it’s how you deal with them that makes the difference. The best leaders have the ability to deflect stress and to maintain clarity and coolness to make decisions in challenging times. They are able to prioritise what needs to be done and when. Somebody who gets flustered, impatient, or angry when work piles up is not going to be the ideal candidate for a leadership position. Leadership, by its very nature, often gets busy, with the need to handle multiple tasks and to maintain the clarity to prioritise the most important ones. Emotional intelligence (EQ) is a more general characteristic that encompasses many aspects. It is predominantly about self-awareness and awareness of others. It profoundly affects leadership, as it will help determine the ability to form close relationships. Getting the best out of teams involves forming bonds and inspiring others to perform; this is made much easier when you understand other people, are able to empathise with their situations, are able to listen, and are willing to put their needs first. If you find employees with high emotional intelligence, always displaying awareness of the needs of others, it may be a great potential leadership indicator. Of course, there are many different types of leaders. However, many of the above characteristics are essential qualities, no matter the leadership style. If you are aware of these qualities, it becomes easier to notice them in others: that means you will be in a stronger position to spot the tell-tale signs of leadership potential. If you’d like help with identifying the future leaders in your organisation – or any other aspect of HR – please email me at: ush@ushdhanak.com.